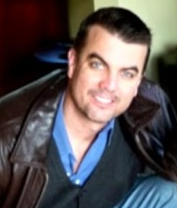 Doxology, the debut novel from author Brian Holers, is available in both paperback and digital format now! Fathers, sons and brothers reconnect over tragedy in this blue-collar Southern tale of love, loss and the healing power of community and family. Doxology examines an impossibly difficult question: how does a man go about forgiving a God he has grown to despise after the tragedies and endless disappointments he has faced? “I’ve always been a person with a great sense of awe—inclined to believe in miracles, in a beautiful world, that things unfold as they should. Not to say I’m a fool, of course I know how much tragedy and evil there is in this world. But I have always wanted so badly to believe in hope, possibility, transformation. And while there is much that seems to make no sense, and bad things sometimes happen to good people, there is also a great deal of life that seems to flow according to some order. To play out, at times, in just an unbearable sweetness. This is probably not a story for those who don’t believe in God. So often, we don’t want to say “God.” We want to talk about “the universe,” “a higher power,” and so on. There are some in modern America who regularly practice their religion, and there are some who have no belief in anything outside of human control. And then there’s a vast middle. Many who, maybe, don’t practice a religion, or don’t practice anymore, but still believe. Some of my characters fall into that category. Vernon’s life is badly damaged. He has experienced great tragedy. As a result he has totally turned against God, when what he needs are the exact grace and miracles whose possibility he so thoroughly rejects. When the minister and others try to reach Vernon, they don’t do so with ideas, with speeches of eternal wisdom. They show the existence of God, and of goodness, through their humanity. Through their human-ness. The Doxology is a short, simple hymn that reflects my lifelong attitude about life in general. “Praise God from whom all blessings flow.” There is so much that works against us as humans, in some ways it is a miracle that we simply get to walk the earth. I am grateful for this privilege among others; I am grateful that I can accept all the contradictions in life, enjoy the world, have fun. I’m not a tortured person. I’m grateful to be able to sit and listen to the words that come into my head, and to write them down. 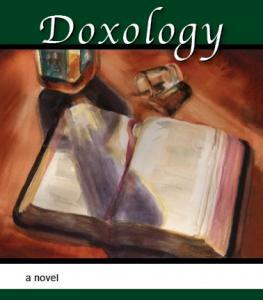 If you’d like to give Doxology a read, paperback copies are available for $15 from Amazon.com or BarnesandNoble.com. Digital copies are also available for $2.99 on the Amazon Kindle, and Barnes & Noble Nook. You can also purchase Doxology for your iPad/iPod/iPhone in the Apple iBooks store. This entry was posted in Doxology and tagged Amazon, Amazon Kindle, Apple, Barnes and Noble, Doxology, ebook, faith, family, fathers and sons, first novel, god, iBooks, iPad, iPhone, iPod, Kindle, loss of faith, Nook, paperback, publishing, Southern living. Bookmark the permalink. Know how to detox for your drug test. Excellent material. I wish all information We’ve stumbled on turned out to be this exceptional. Continue the good effort.